The Fundamentals program is an in-depth introduction to CrossFit and the essential movements. During these classes we'll teach you the proper technique and modifications of various bodyweight, weightlifting and gymnastic movements. Ready to try out Crossfit? You have the opportunity to see what it’s all about. Your first class is on us! We would love to have you. We love out of town drop in’s! We would be honored to be your go-to gym in the mountains. Our out of town drop in rate is $15 per day. CrossFit combines the best components of the best styles and systems of athletic training: running, rowing, power lifting, Olympic lifting, gymnastics, and even yoga. It combines the camaraderie of an athletic team with the support of a family and the thrill of a challenging game. You will lift, jump, push, pull, stretch, throw, climb, run, jump, handwalk, and with dedication, you will learn to utilize your body’s massive potential with ease. The Fundamentals program is an in depth introduction to CrossFit and the essential movements. 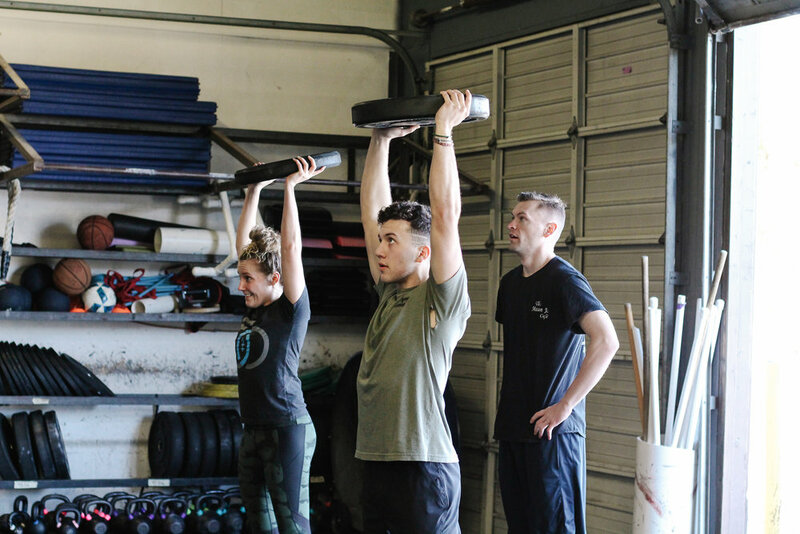 During these classes we'll teach you the proper technique and modifications of various bodyweight, weightlifting and gymnastic movements. Completing this program will ensure you are prepared to fully participate in our CrossFit classes in a safe and productive manner! Come on in and experience the CrossFit Postal community TODAY! Probably one of the best CrossFit gyms I’ve been to. They have a great setup and really know how to optimize the space so that everyone can get a good workout in without bumping elbows. The staff is friendly and attentive. The members are welcoming and encouraging. I’m excited to join! If you love working out with us, tell us! Leave a review here. Our coaches embrace the opportunity to help you reach your goals. CrossFit is more than fitness. We’re a community who supports each other and tailors your workouts to your personal goals. It’s more than a workout.